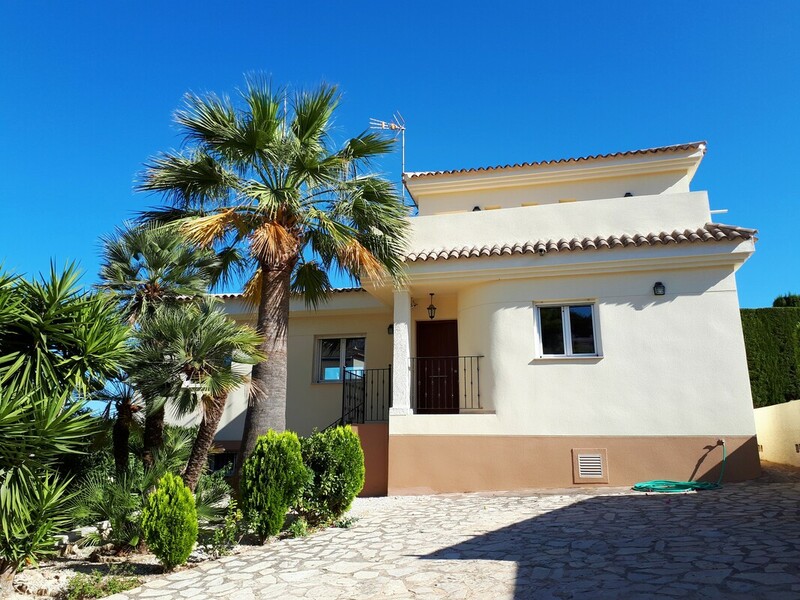 We have only just started renting out this villa and therefore it still has good availability, also in high season. 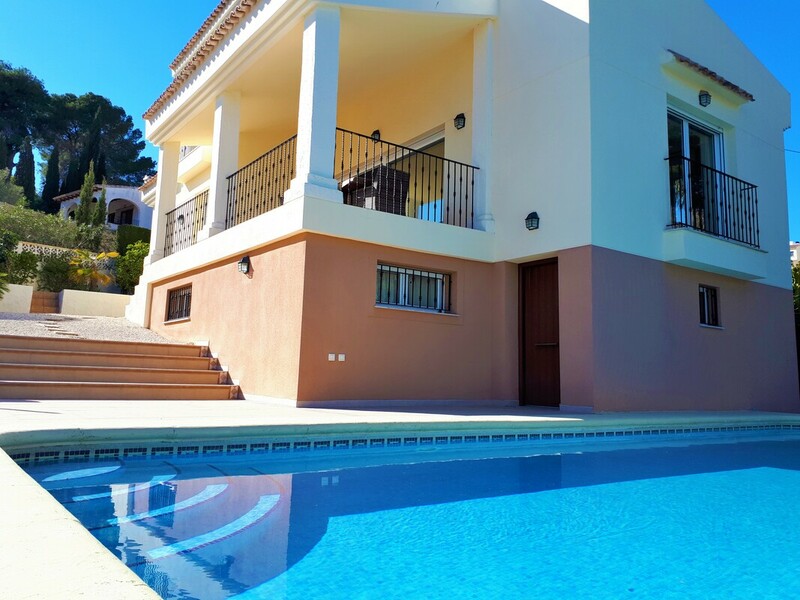 Villa Nova is a gorgeous modern detached villa in Moraira with sea views and a beautiful private pool. 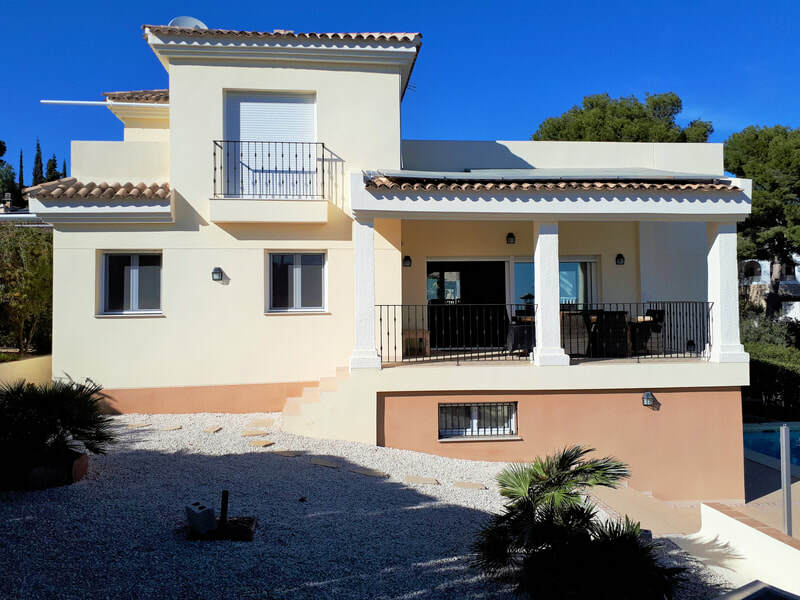 The house is within walking distance of the centre and beach of Moraira. The villa of about 180m² is situated on a fenced plot of 1000m². The house has 4 bedrooms and 2 bathrooms. The modern villa is fully equipped for all your needs. There is wifi, air conditioning, a dishwasher, oven, refrigerator, freezer, washing machine, etc. The villa offers sleeping space for 8 people, but because of the way it is built it is also suitable for 2 or 4 people. The garden is beautifully laid out and has a carport for the necessary shade in summer. There are several terraces and sun beds around the pool. From the living room you can walk onto the covered terrace where you can enjoy wonderful sea views in both summer and winter. Through the entrance you enter the hall. On this floor you will find the living room with terrace, kitchen, 2 bedrooms and 1 bathroom. Via the stairs you can go up to the roof terrace or down where you will find a large landing, 2 bedrooms and 1 bathroom. Both floors offer access to the garden and the swimming pool. There is air conditioning in every room and all rooms have double glazing, mosquito netting and shutters for darkening. 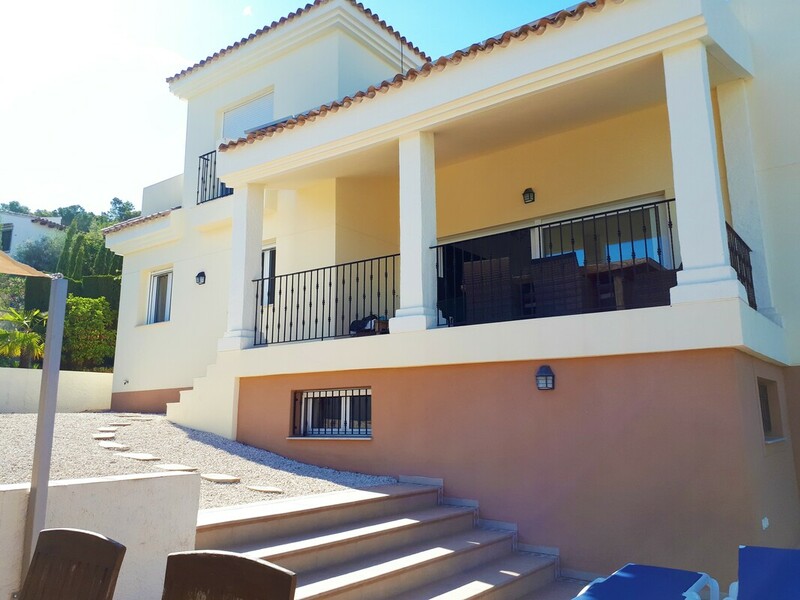 A beautiful, fully equipped modern villa with good furniture. 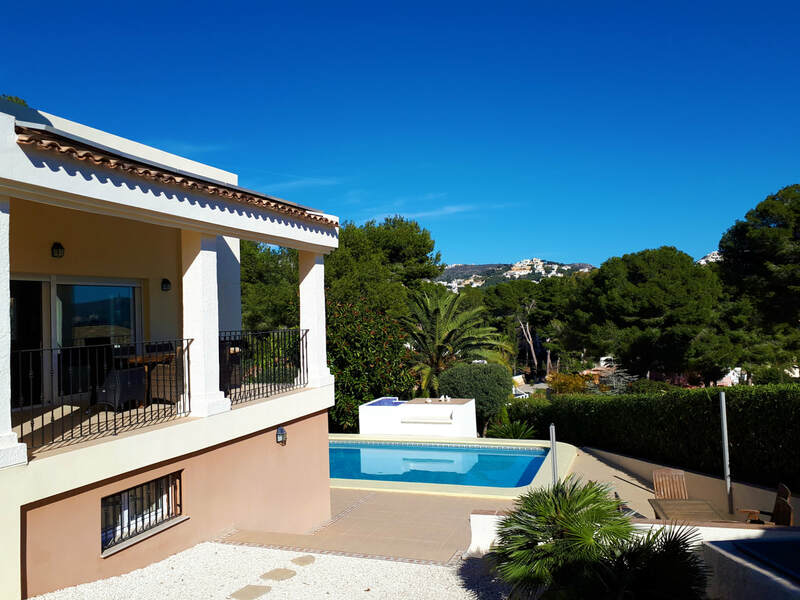 It’s a 10 minute walk to the centre of Moraira with its’ many terraces and good restaurants. Almost everybody that who comes here on holiday, returns. Moraira is a beautiful coastal town without high-rise buildings. There are many beautiful bays in the area where you can linger. The largest sandy beach is located next to the centre of Moraira and is at walking distance of the villa. Also within walking distance of the villa you will find a large supermarket. A car is not necessary, but if you want to discover the beautiful surroundings, a car is advisable. Please feel free to contact us. We’d like to help you. Also if you need advice about tickets or car hire. See you soon in Moraira! - Gas only in the cold months for heating at € 50,- per week.